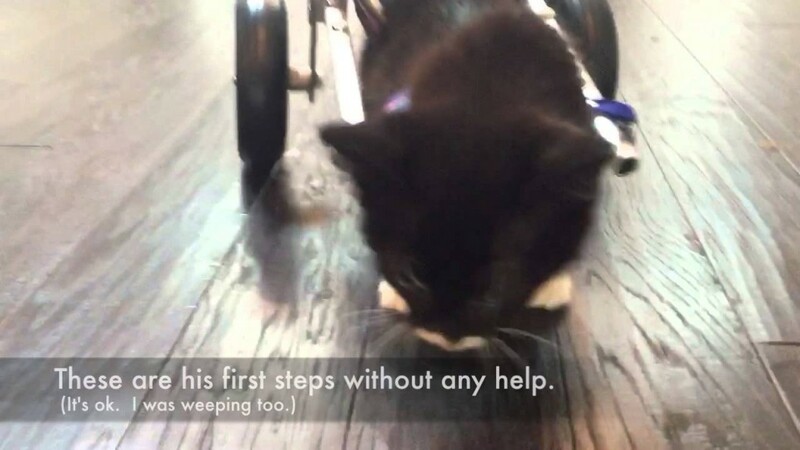 Bipawd #MiracleKitten Cassidy takes his first steps in his new wheelchair — totally unassisted. Just amazing. 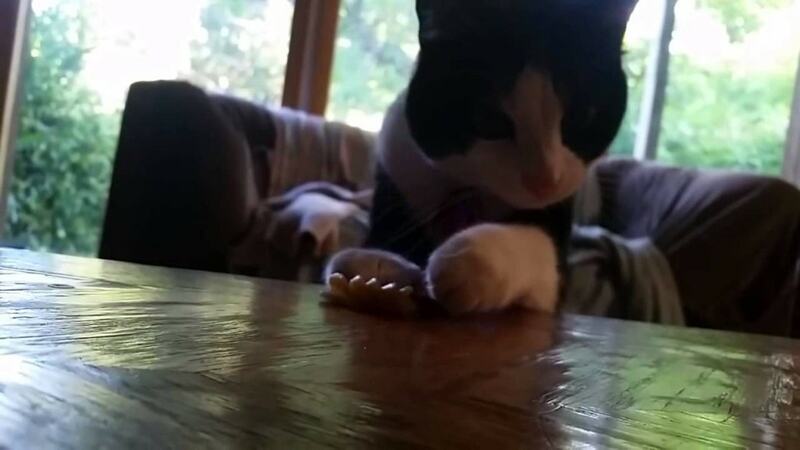 This kitty is not sure what to make of a lone piece of rotini pasta that’s sitting on the table. 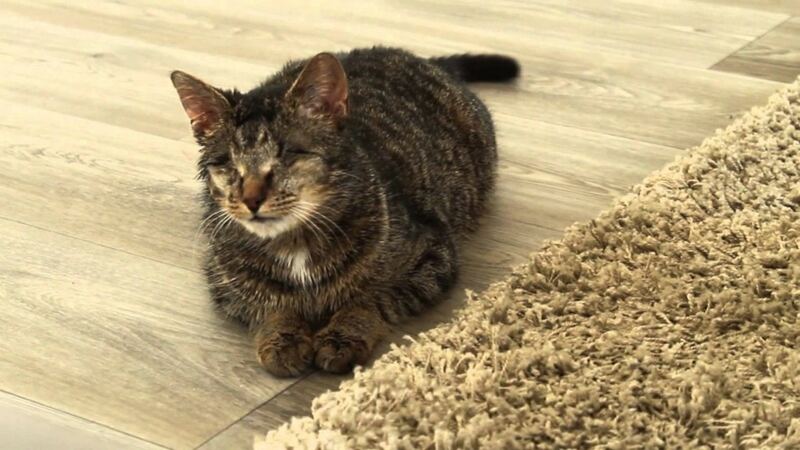 Bamboo the Blind Cat’s First Day At Home! Bamboo lost his sight due to an infection he picked up as a feral kitten. 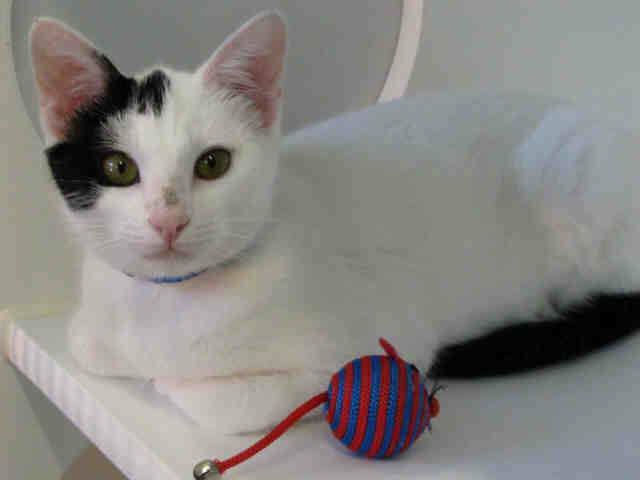 Now he is enjoying the good life in a loving home. 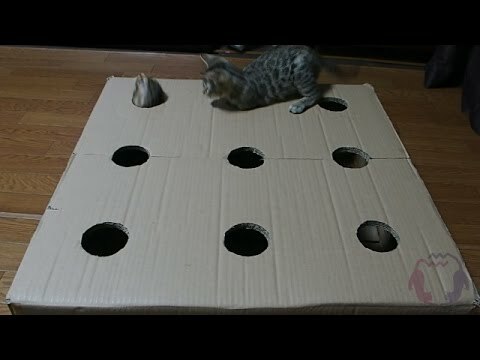 A cute pair of Bengal kittens play their own version of the whack-a-mole game. 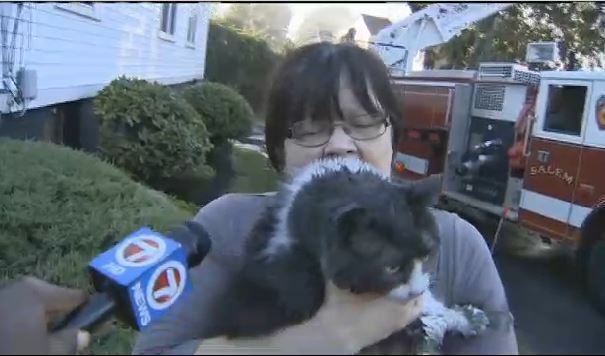 A Haverhill, MA woman was grateful and relieved when firefighters reunited her with her cat at the scene of a fire at her home. A kitten in Southern California is doing great now after a scare when he swallowed a fish hook. 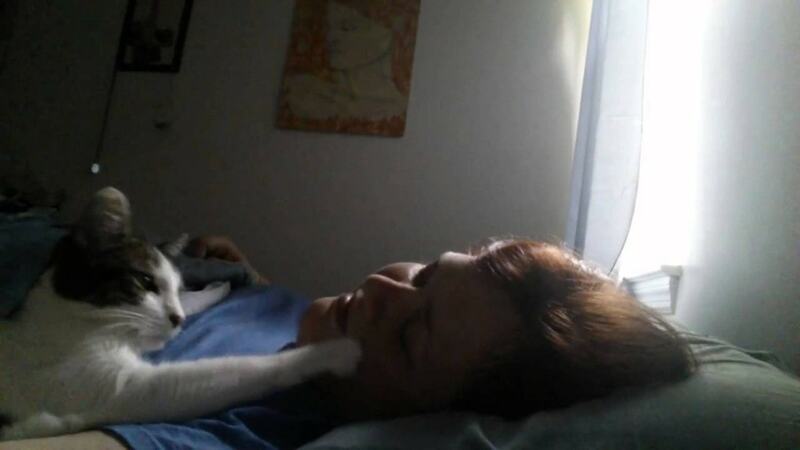 Kitty gets right up to mom’s face and lets her know it’s time to get up! 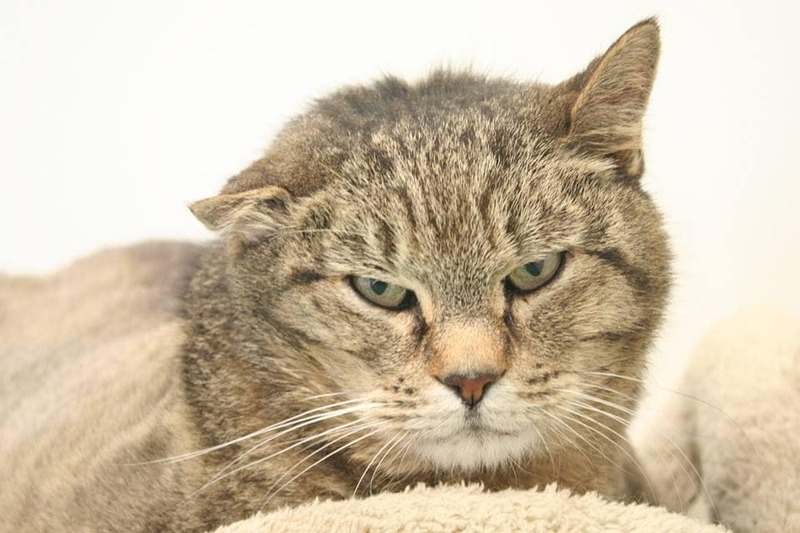 An obese senior cat who touched hearts after being abandoned and then rescued has died. Some cute foster kittens do battle with a quick-moving roly poly little robot. 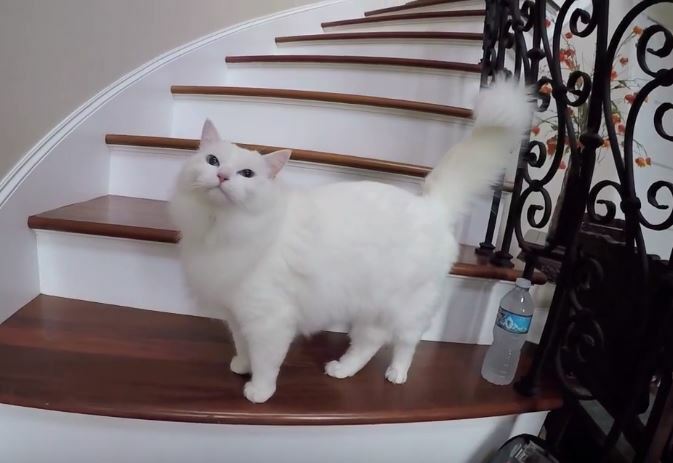 CJ the Ragdoll cat had to be rescued when he became stuck high up in the treetop of a cypress tree.